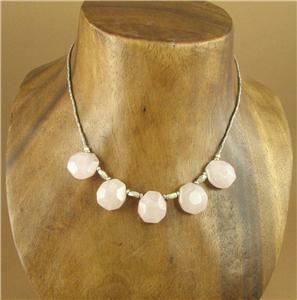 Home › Necklaces › Rose quartz & silver necklace. Fine and sterling 925. 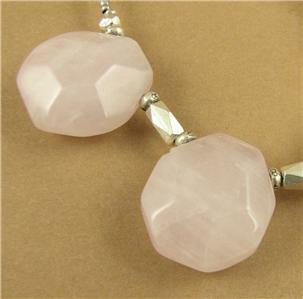 Pink faceted stones. 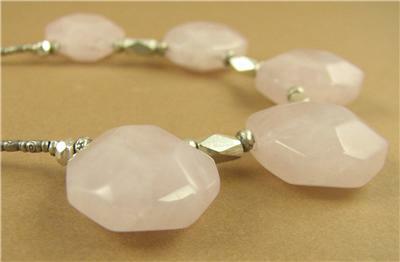 Rose quartz & silver necklace. Fine and sterling 925. 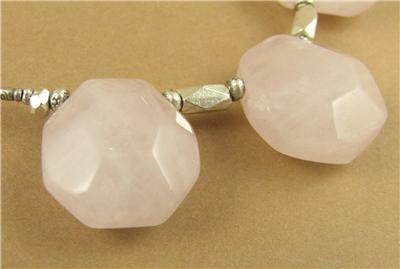 Pink faceted stones. 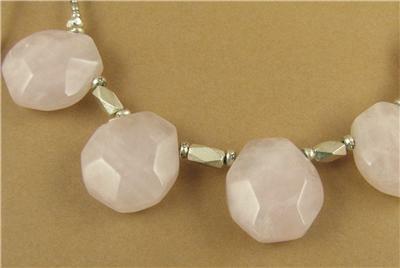 This is a rose quartz and fine silver necklace. 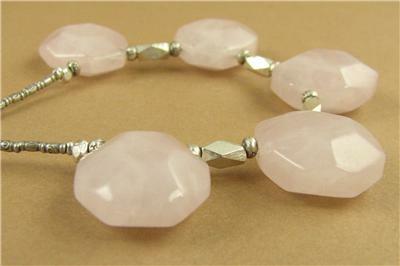 The stones are genuine natural rose quartz with a beautiful clear pink colour. They have been faceted to catch the light beautifully. 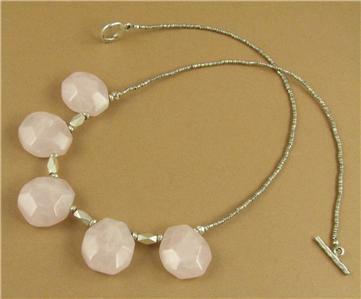 All the beads between the stones and the clasp are extremely pure fine silver (98%). 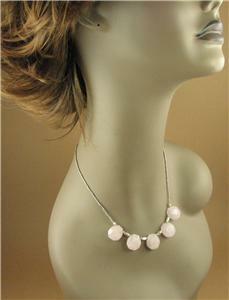 The 2 tiny finishing beads are sterling silver (9.25%). The necklace is " long. 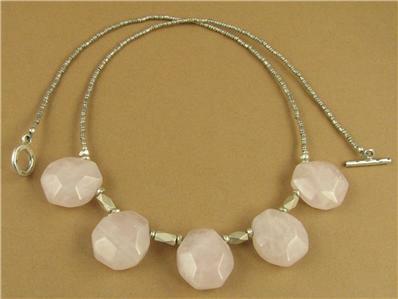 Although the necklace looks dainty, it is in fact extremely strong. 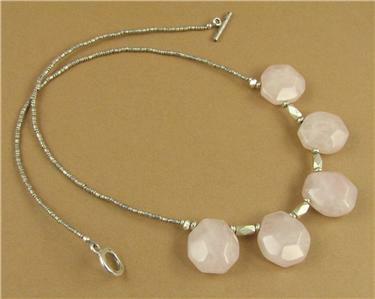 The wire inside is the best jewellery wire available, which I import from the US. It is very strong but at the same time still drapes well without being stiff.